A famous little falafel shop with two things on the menu: falafel and fries. If you’ve pushed your Spanish ham consumption to its limits, this is a delicious way to let your system recover with a solid vegetarian meal. 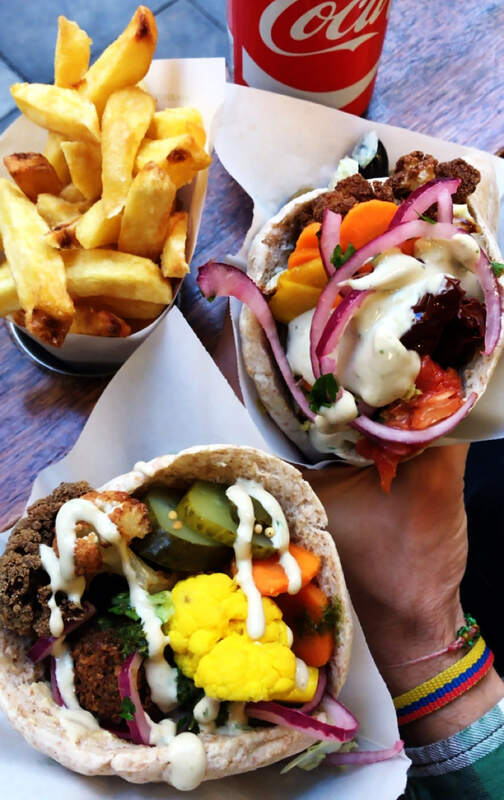 The falafel is the best we’ve had in Barcelona, and it’s served with pita (or salad greens) and your choice of hummus or baba ganoush. Then there’s a self-serve salad bar offering a rainbow of toppings to customize your sandwich to taste. It’s located on a super-touristy block near La Rambla. But it’s fun to get a sandwich or falafel salad with fries, and watch the river of people flow by.